Following on from my previous post all about my Home office makeover project this summer, I wanted to share some of the pictures I found when looking for inspiration for this room. As soon as I knew I had a makeover in mind for this room, I wanted to look around for ideas. I love looking around for inspiration when I start any project in my life – whether it be decorating a room, finding new ways to do things, or life events such as birthdays etc… – you can find so much on the web now that it seems crazy not to really! Having something to physically look at and work out what I like and what doesn’t, really helps to solidify my own plans. It’s not about copying, it’s using ideas for inspiration and then working out how to give things your own spin – and that’s the part that makes your home your own. It also helps to save time, effort and money in the long run, as you can be more sure of what you want (and what you don’t) – and so are less likely to make costly mistakes – perfect! I tend to go to a couple of main places when I look around the web for inspiration – and those places are Pinterest and Houzz – both of which are full of pictures and projects to look at – I could easily spend half my life there if I didn’t stop myself! Here are a few of the pictures that I saw on my wanderings through these sites that felt right for my office space, for many different reasons, and I’ll tell you a little about each one and what I loved, so you can see how things have inspired choices I intend to make for this room. Love the idea of lots of artwork and display around the room – I have a very visual job so this helps with creativity! 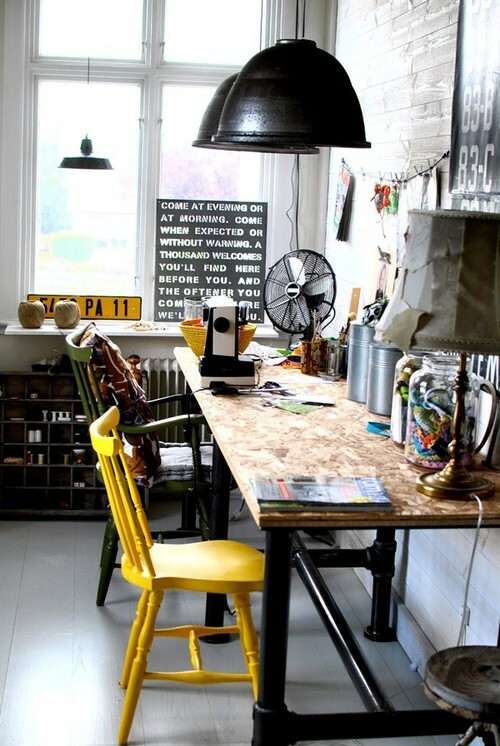 I am a massive fan of the industrial look, and I think elements of this would work well in the office – such as the fan, the word art, and the darker colours. Lots to think about, and as you can see, each picture is totally different in look and feel, but I love different parts of them all. 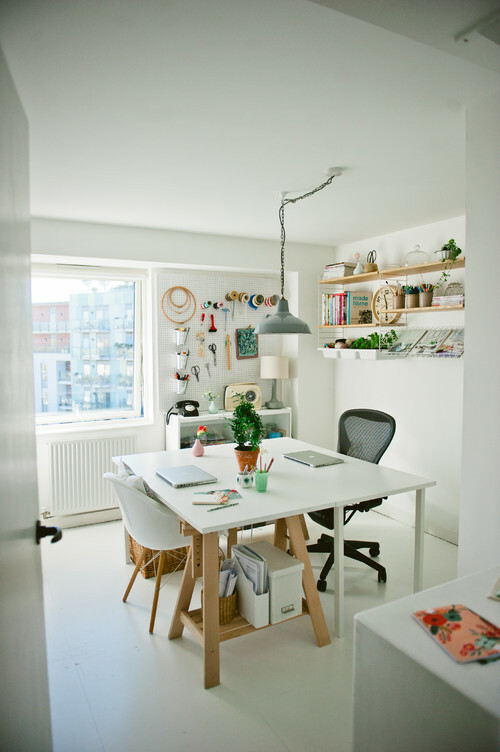 They have given me loads of ideas for my own space, so I get it just right both so that it works well as a functional and practical office space, but will also be a space I enjoy working in and feel at home. Now, onto the next step – using this inspiration and getting it done!.